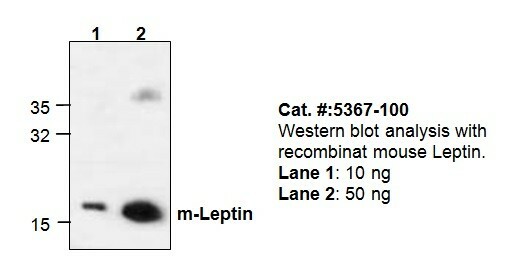 Formulation 30 µg (0.5 mg/ml) affinity purified rabbit anti-mouse Leptin polyclonal antibody in phosphate buffered saline (PBS), pH 7.2, containing 30% glycerol, 0.5% BSA, 0.01% thimerosal. 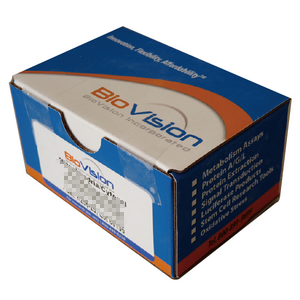 Application & Usage Western blot analysis (0.5-2 µg/ml). However, the optimal conditions should be determined individually. Other applications have not been tested.